We are so happy to have been nominated in the 2019 Morzine Source Awards for Excellence! These annual awards recognise the best of local businesses in the Morzine area and Treeline Chalets have been nominated in the Favourite Accommodation category. Now it’s time for the second round of this award and it’s a public vote – so we’d love your help! No email is required, it’s just a simple click and only takes a moment! (You don’t need to vote in each category either). Voting closes at midnight on 31st March 2019. The three nominees with the most votes on 1st April will go through to the final round of the awards – secret judging. A panel of Morzine Source judges will then choose the winner. The winners of the 2019 Source Awards will be announced at the Source Suppliers Show at the Domaine du Baron on Lake Montriond on Tuesday 9rd April 2019. 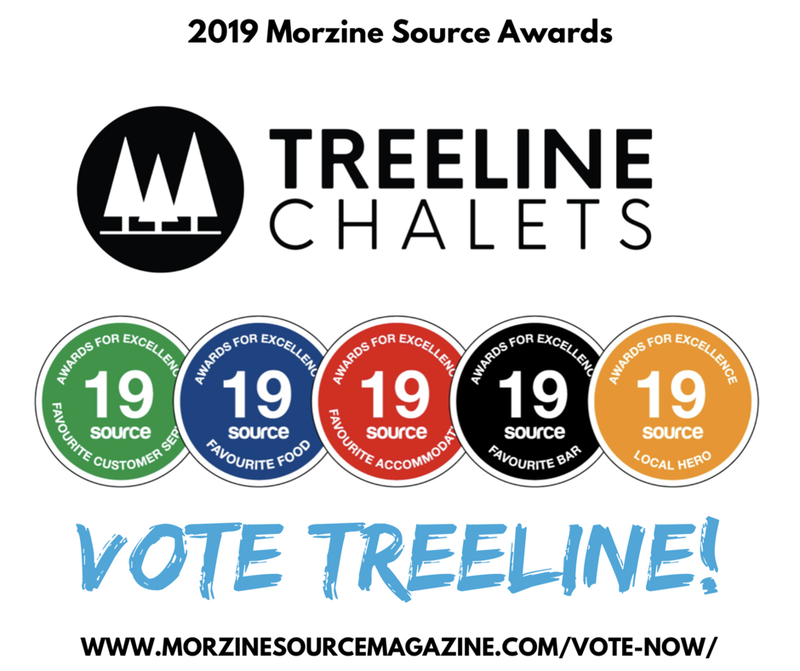 We’d really love your vote for Treeline Chalets!